Engineers, welcome to the world of ofcdesk. One click: all you need to convert lines into pipes and connections. 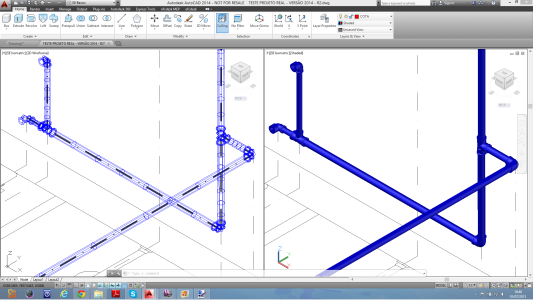 Design construction lines and the ofcdesk mep will finish the plumbing system, using your framework. Selected lines are automatically converted into pipes and connections - saving you valuable time. ofcdesk mep enables users to calculate cold and hot water systems, sewage systems, water tank dimensions, rain water and hydraulic pumps. Choose the system, and ofcdesk mep will show the calculation, based on U.S. standards. Increase the quality of your plumbing projects by adding important information to your design. 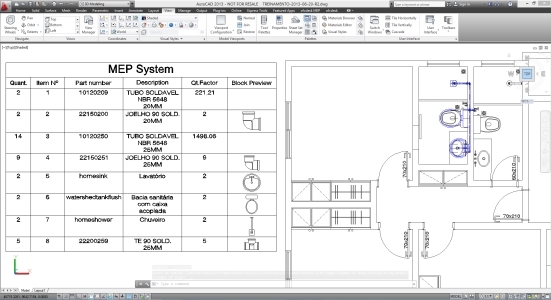 ofcdesk mep uses a bill of materials (BOM) to create useful legends within AutoCAD® tables. 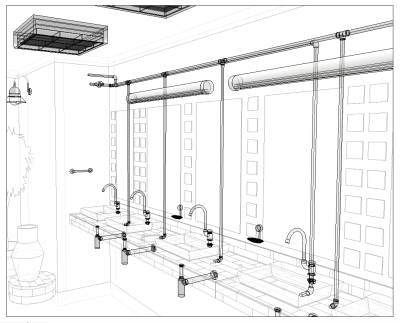 Automated process for plumbing systems design. 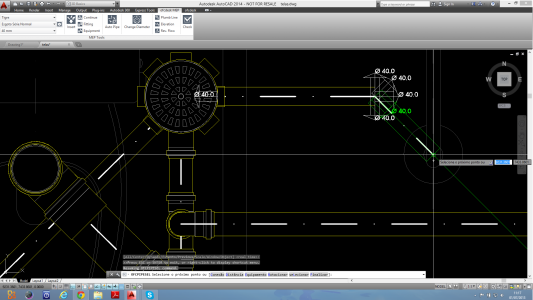 Plumbing Designer helps engineers complete their projects faster more seamlessly. 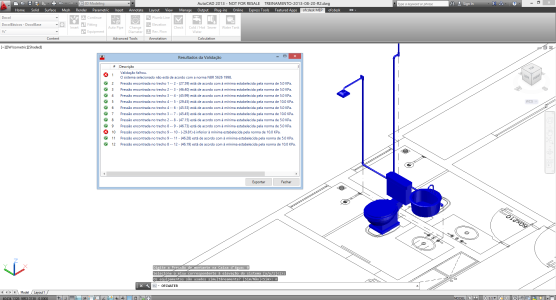 Select the pipe directions and the ofcdesk mep will add the right connections automatically. Enjoy a variety of ofcdesk cloud-based libraries, and complete your projects with bathroom fixtures, registers, faucets and more.